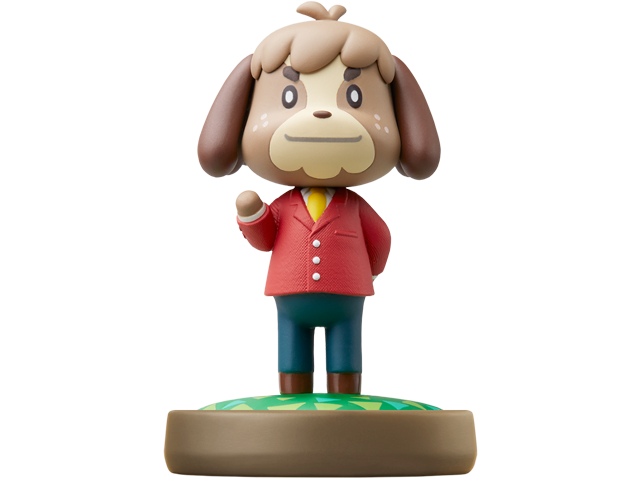 Isabelle's twin brother, Digby, works at the Happy Home Showcase in Animal Crossing™: New Leaf and at Nook's Homes in Animal Crossing: Happy Home Designer. When he needs a quick break, he'll head down to the Roost for a cup of coffee (Blue Mountain, black, no sugar). He's fairly oblivious to the fact that his co-worker Lottie is enamored with him. Digby is compatible with several games. Click here for details.